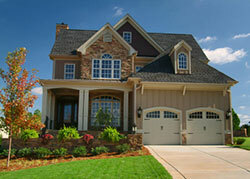 Castle Rock Property Management, Castle Rock Property Managers, Castle Rock , CO Property Management Companies. Citadel Property Management offers a full range of property management services tailored to you as an investor, homeowner, or landlord. We have a portfolio of single-family homes, townhouses and condos in the Castle Rock and surrounding South Suburban area. The region in and around Castle Rock was originally home to the Arapaho and Cheyenne people. They occupied the land between the Arkansas and South Platte Rivers. White settlers were drawn to the area by rumors of gold and by land opened through the Homestead Act of 1862. However, it was the discovery of rhyolite stone, not gold, that ultimately led to the settlement of Castle Rock.